The generational shift in the workplace is a significant matter business leaders and managers should focus on. 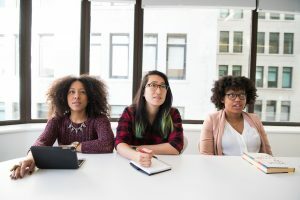 With Millennials and Generation Zs making up most of today’s workforces, it’s necessary to develop and apply new and diverse employee management approaches. How you manage these younger generations is a key to your business’ success. Your tech-savvy and competitive Millennial and Gen Z employees differ in many ways. You need to be innovative in order to attract, engage, and retain them. To help you get started, take a look at these management tips for each generation. Build a Strong Company Culture. Create a strong work culture to satisfy and retain your Millennial employees. Monetary compensation is not a primary motivator for them. They desire to be part of a company that allows them to learn more, hone their skills, and make a difference. Encourage Work Flexibility. The popular phrase, “you only live once,” is very true for the millennial generation. This is why they look for work flexibility. Offer them flexible work options so they can achieve work-life balance. This will make them more productive at work, which is good for your business. Promote Teamwork. Millennials enjoy being part of a team, so it’s best if you create a collaborative work environment for them. Let them handle group projects and encourage them to join workshops and brainstorming sessions. Optimize Technology. As digital pioneers, Millennials rely heavily on technology – may it be in their personal or professional lives. They prefer visual communication methods and online tools at work. Embrace and optimize technology to take advantage of your millennial staff’s tech skills and manage them well. Provide Reward & Reinforcement. Millennials crave positive reinforcement. They want to be recognized and rewarded for their skills and hard work. Always show that you appreciate and value them. An incentive, words of praise, and even a simple “thank you” would mean a lot to your millennial employees. Offer Good Monetary Compensation. Financial security is of utmost importance for Gen Z employees. Attract and retain top Gen Z talents by offering great monetary compensation and financial rewards. You can also engage and motivate them to stay in your company by promoting career advancement. Be Fair and Inclusive. Gen Z is considered the most diverse and inclusive generation yet. You can build strong relationships with your Gen Z workers if you promote diversity and inclusivity in your company. As the youngest generation in the workforce, they would highly appreciate it if you give them equal job opportunities and make them feel that they are a valuable part of the organization. Keep Up to Date with New Technology. In today’s technologically-driven business world, your company could benefit greatly from your Gen Z employees’ tech-savviness. Keep abreast with emerging technology! Invest in new tools that your Gen Z staff can utilize to make work more efficient. Boost In-Person Conversations. Gen Z workers are true digital natives. However, although they love texting and using emojis and visuals, a lot of them believe that in-person communication is still important and effective. To better manage your Gen Z workers, have face-to-face conversations and meetings with them. This will also help develop trust between you and your staff. Support Their Entrepreneurial Spirit. Gen Zs seek more independence at work than Millennials. Their desire and ability to manage and complete tasks alone show their entrepreneurial spirit. Support your Gen Z workers by allowing them to work independently, take ownership of their positions, and be their own boss! But as their employer, always be ready and willing to provide them with proper guidance and assistance. The Millennials and Gen Zs are the present and future face of the workforce. They can be an excellent addition to your company. Get to know your Millennial and Gen Z workers well. Follow the tips we mentioned to manage them more effectively and improve your business.